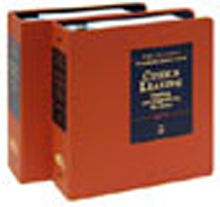 The Continuing Education of the Bar California has published its October 2011 Update to Office Leasing: Drafting and Negotiating the Lease. A number of attorneys from my law firm were involved in the update. I served as the update author for Chapter 40, Leasehold Improvement Agreement Exhibit.